What is astonishing about the QWERTY keyboard (CNET is hailing July 1 as QWERTY’s 142nd anniversary) is not simply the durability of the arrangement, but that the keyboard itself remains the dominant input mode. Prior to the invention of the typewriter, people set down every idea, every thought by hand or else communicated ideas via oration. That rapidly changed with the advent of the typewriter. Even in this age of smartphones and tablets, the keyboard (physical or virtual) dominates. Why is that? For one, the keyboard is just that efficient. There may be better arrangements, and more modern modes of input, but for now the QWERTY keyboard suffices. That could change. Voice recognition is quickly coming to the fore. How many now text by voice? (I know I do, and my text messages have become substantially longer!) Voice input is also being employed effectively in TV remotes, GPS units, and products like Amazon Echo. Increasingly, we are speaking our thoughts, not typing them. But this technology has some limits: for one, voice input seems to work best for short, focused thoughts, not stream of consciousness. I have periodically experimented with Dragon Naturally Speak, but have found (comma) that it is not as natural a way of writing as the company would have us think (period) When such technologies anticipate punctuation and emphasis, I imagine use of voice input will increase exponentially. Digital pens sometimes seem poised to usurp the keyboard, but are stymied ultimately by cost, size, and portability. I’ve long been a fan of the Livescribe series of pens but discouraged their cumbersomeness. Having to use special, micro-dotted paper is not especially convenient. (Yes, there are digital pens that do not require special paper, but they require having a second piece of equipment: a receiver.) That so many of these digital pens feel cheap does not help the cause either. 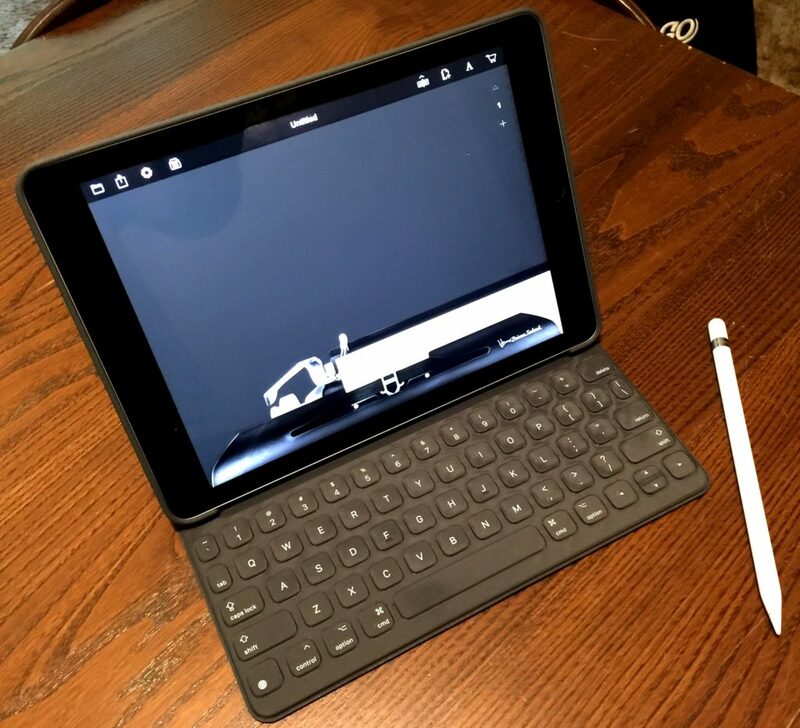 Lately, I purchased an iPad Pro 9.7 with digital pencil and folding keyboard. I imagined that I would mostly use the pencil (in my estimation it is the best out there), but for even short bursts of writing (such as giving a video a title), I regularly turn to the keyboard. As for scribbling notes, I use paper, for the tablet’s screen just doesn’t have the same pleasant (or familiar) feel of paper. That one day we will be able to think our thoughts is tantalizing. Such advancements are not far fetched, as scientists are working in remarkable ways to assist the disabled in controlling objects with their minds (see here, for example). One day, I will think my blog. In retrospect, I imagine the greater reason why the keyboard dominates is that our brains have become accustomed to thinking/writing with our fingers. I touch-type so rapidly that I write as swiftly as the thoughts come — or so I believe; it is perhaps just as likely that I have adapted my thought processes to my typing speed. In the 1860s and 70s, Christopher Latham Sholes experimented with a number of arrangements before settling on QWERTY, and QWERTY has done much to shape our ideas. Long live QWE.TY, er, QWERTY! Note: Did you know that touch typing was not even envisioned when Sholes designed the QWERTY keyboard? See ETCetera No. 111 (available only by print subscription), “Touch-Writing by the All-Finger Method: The Bates Torrey Typewriter,” by Flavio Mantelli. After a period, two spaces. Or one.